Through relationships and consistent focus on God, students are challenged to reflect on their personal relationship with Jesus. We value a passionate relationship with Jesus that demonstrates itself through love and service. 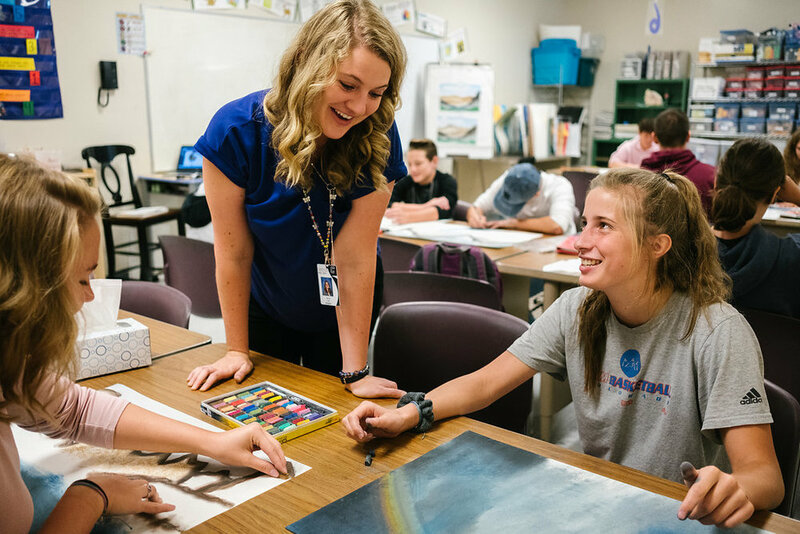 Focused study in the classroom, growth through trial in athletics, and exploration of God's creative nature in the arts we desire to see students know Christ as they study and enjoy His creation. We value authenticity and excellence, and view learning as worship. Serving with local charities like A Precious Child, Joshua Station, and Broomfield FISH, and internationally with Pura Vida in Costa Rica, students are consistently inspired to serve.